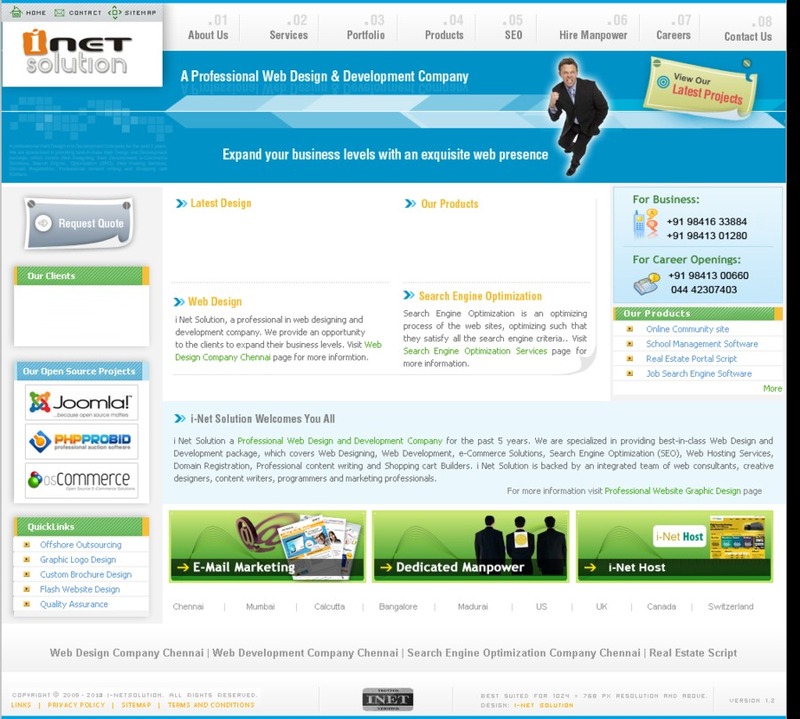 http://i-netsolution.com/index.html A professional web design company in Chennai .we are specialized in providing best–in-class web design and development package, which covers web designing ,web development , e-commerce solution ,search engine optimization(SEO) ,web hosting services , domain registration ,professional content writing and shopping cart builders. One of the leading web design company Chennai since 2005. Our designs and web sites are visually communicate your company’s image to exchange your professional objective to your customers and viewers and promote your business.